The Knicks (36-45) will host the Toronto Raptors (48-33) at Madison Square Garden in tonight’s season finale. Gametime is 8 PM. Pablo Prigioni, Iman Shumpert, JR Smith, Amar’e Stoudemire, and Cole Aldrich will start for the Knicks tonight. Carmelo Anthony, Tyson Chandler, Raymond Felton, Andrea Bargnani, and Kenyon Martin will not play. This season has been disappointing, but the Knicks have won 3 in a row against solid teams and can finish the year on a high note by making it 4 tonight. Enjoy this game, because we won’t be seeing our Knicks in regular season games for the next 6 months. Let’s get one last win. 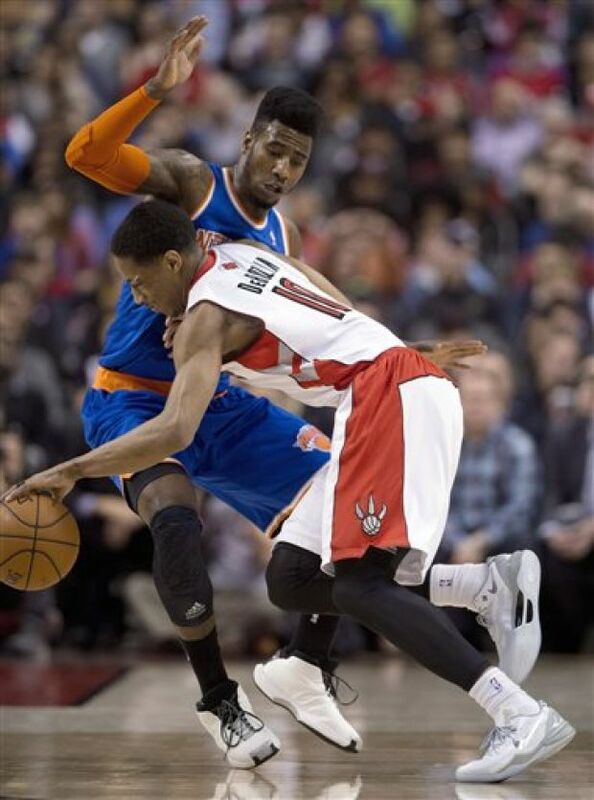 This entry was posted in Articles and tagged KNICKS, knicks blog, knicks last game, KNICKS MEMES, Knicks news, knicks pregame, knicks vs raptors on April 16, 2014 by Tommy Rothman.